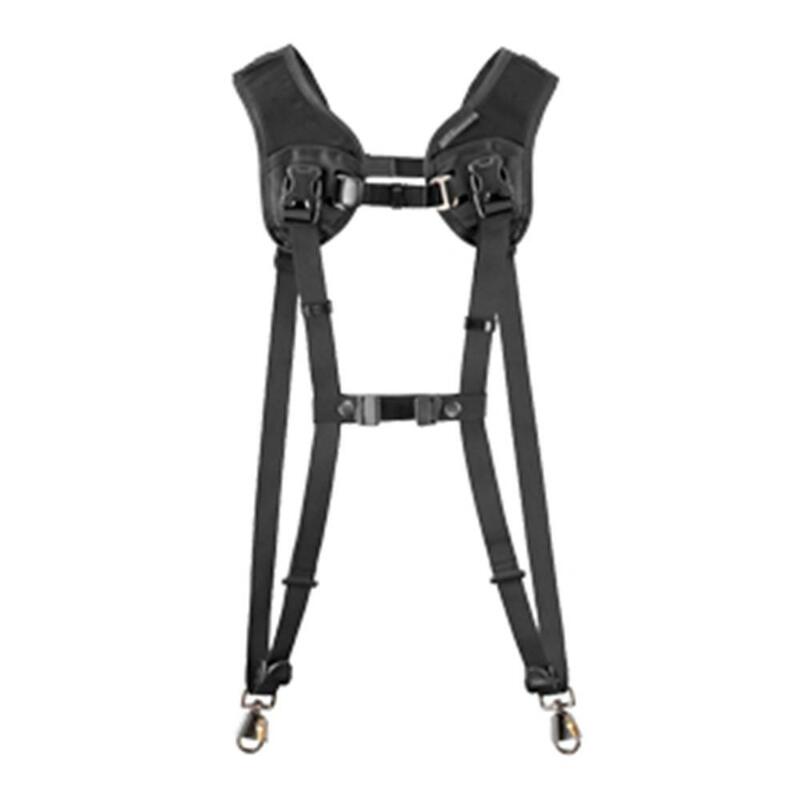 The most versatile dual camera harness for professional photographers in the world. Wear it like a backpack and attach two cameras. You'll always have what you need within reach. Through updated high performance materials, the design is a lighter weight breathable strap that increases comfort and functionality while maintaining a sleek professional style. It's perfect for event, sport and wedding photographers - or anyone who likes having two choices. And who doesn't like options?